Director J.J. Abrams’ global sensations Star Trek and Star Trek Into Darkness set a course for the ultimate home entertainment package in STAR TREK: THE COMPENDIUM, arriving September 9, 2014 from Paramount Home Media Distribution. The set includes four Blu-ray Discs with both films in sparkling high definition and the IMAX version of Star Trek Into Darkness, Digital HD copies of both films, plus previously released bonus material, including the Star Trek Into Darkness director’s commentary. 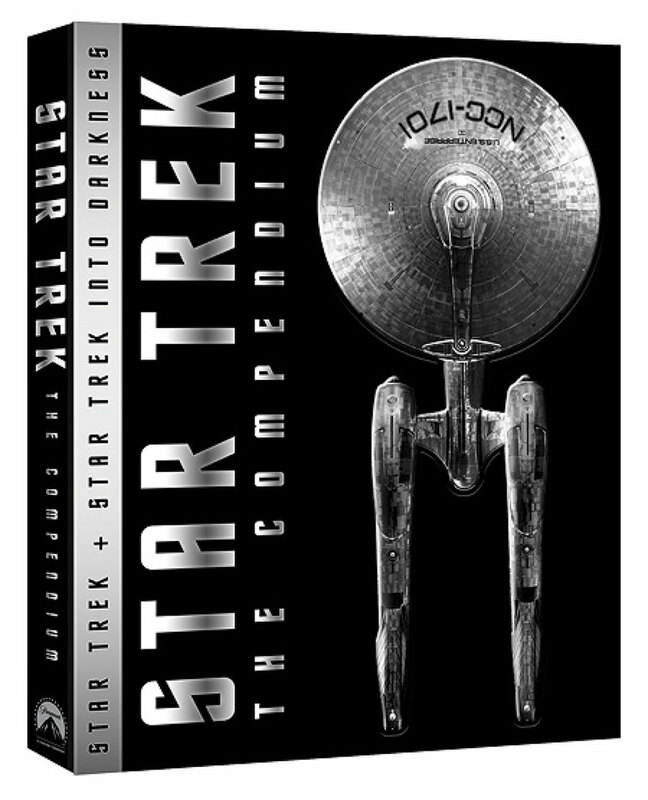 STAR TREK: THE COMPENDIUM also boasts never-before-released footage from Star Trek Into Darkness including a gag reel and new behind-the-scenes featurettes. This comprehensive four-disc set will be offered for the suggested retail price of $39.99. The Voyage Begins… Again — Go behind-the-scenes as filming begins on the next Star Trekadventure. Mr. Spock and Mr. Spock — Leonard Nimoy makes a cameo appearance and reflects on his history withTrek. Yeah… what they did was release multiple versions to multiple retailers. Target got one, Best Buy got another, and I think Walmart got another. Each included a unique set of features from the others. All of these variations meant that, if you wanted all of the features, you’d have had to buy at least 4 different copies of the movie, at prices ranging between $20 and $35 each. Back then I figured that you’d have to spend around $100 to get everything, and that would have been ridiculous.